news Chief marketing officers are increasingly making technology decisions for their organisations, according to a new study published today by technology analyst firm Telsyte. Telsyte’s Australian & New Zealand Digital Marketer Study 2015 surveyed 255 chief marketing officers and marketing leaders in large organisations. It found that almost all (91 percent) are making purchasing decisions on technology products and services for their requirements. Furthermore, more than half of organisations surveyed indicated that the marketing department has a dedicated IT budget. 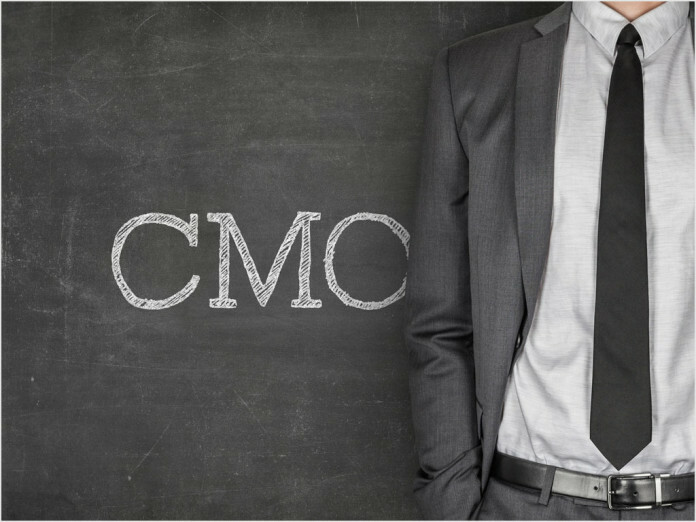 According to the firm, this rapid change in the role of the CMO has been driven by the digital transformation imperative in Australian and New Zealand organisations, the widespread availability and acceptance of cloud-based software and computing, and the elevation of the CMO as the custodian of big data and insights functions. “Marketing’s transformation has moved on from just buying digital advertising to building scalable approaches that provide a single view of the customer, support meaningful measurement, and enable real-time decision-making,” said Telsyte analyst Steven Noble in a statement. Telsyte has produced an extensive 70-page report on the issue. Web analytics or split testing software is the most common purchase, with 39 per cent of marketers reporting their departments buy this class of software. Customer relationship management purchases were also very common, at 38 per cent. Furthermore, 36 per cent were using big data analytics for customer transaction analysis. According to the firm, marketing and IT leaders have conflicting perspectives on marketing technology. Despite the fact that marketers are highly satisfied with their technology purchases, IT leaders are concerned. In a separate Telsyte survey of 336 CIO and ICT leaders that have lines of business that purchase IT products and services, some 36 per cent say their organisations have experienced problems. The greatest problems were with integration requirements (cited by 36%), inconsistent technology selection (33%) and security (32%). The real question is whether this is a problem for IT departments. I suspect that some Australian technologists will see it as such — they will see it as a weakening of their control over IT budgets, a weakening of their position, and a weakening of their overall ability to do a good job for their organisation. However, from my experience I think we’re also seeing a great deal of positivity around this. For a long, long time, Australian IT professionals have been frustrated by the fact that the rest of their organisation does not necessarily understand or appreciate what they do. The fact that some technology has become commoditised and specialised enough that it can be purchased by other line of business executives is actually great. It will take some of the extreme burden off IT departments and allow IT staff to pursue projects which have a higher value to the business — generating revenues, for example, or creating efficiencies. No offence, but I think your conclusion is a bit naive – you know all those articles you’ve written about tremendous cost blowouts and multi year delays to large IT projects? A big part of that is because of a lack of communication and an inability of user departments to conceptualise and frame their needs comprehensively. Sure, lots of IT people make idiotic decisions about usability and function without getting full buy-in from departments that will actually use the systems, but letting marketing managers make purchase and implementation decisions without extensive collaboration with IT is just as stupid, of not more so. Where do they think the data from their analytics is coming from? How do they think it gets there? How will they balance cost/performance, when they have no understanding of performance constraints and how to eliminate them? Oh, they just blow their whole budget on as much as they can, like buying a Lear Jet when a return ticket would have been sufficient? The biggest issue facing organisations in terms of their IT expenditure and solutions is collaboration. IT people can be arrogant and dismissive of end users, users have little appreciation for whether what they’re asking for is feasible and difficulty framing their requirements comprehensively, while senior management all too often look at IT as a cost centre to be minimised, instead of an opportunity to improve business processes, efficiency and customer service. And the biggest risk to their business operations as a going concern – poorly designed redundancy, staff application instability, insufficient resource allocation and inadequate security can all result in anything from severely reduced efficiency to complete collapse of their business. So the solution is not to take IT expenditure and projects away from IT and let Marketing (or any other department) but to improve collaboration – successful projects need IT to be open and honest about skills and capability of their department and staff – don’t bite off more than you can chew nd hope you can wing it. Executive management needs to completely change their mindset, trying to constrain IT and cut costs wherever possible, because constraining projects due to some bean-counter’s esoteric idea of costs and value is a sure-fire way to doom it to total failure. User departments need to better communicate needs, which means actually spending time with staff and comprehensively analysing what they do, how they work around current systems and how it could be improved. Collaboration is key. Shifting siloed responsibility from one non-collaborative department to another just extends the problem, and is probably going to make things worse, not better. If you want to fix this, you need a cultural change, which comes from the very top. Don’t want to adapt and change your management culture? Then be prepared to move over for your more agile competition who already understand this dilemma and are building their companies from the ground up on collaborative philosophies.